The Wayland Economic Restructuring Committee (W.E.R.C.) 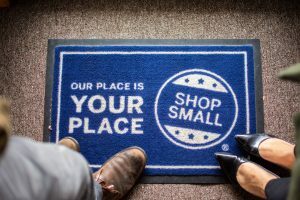 is hosting a branding WERCshop designed specifically to help small businesses elevate their brand presence and engage customers in today’s crowded marketplace. 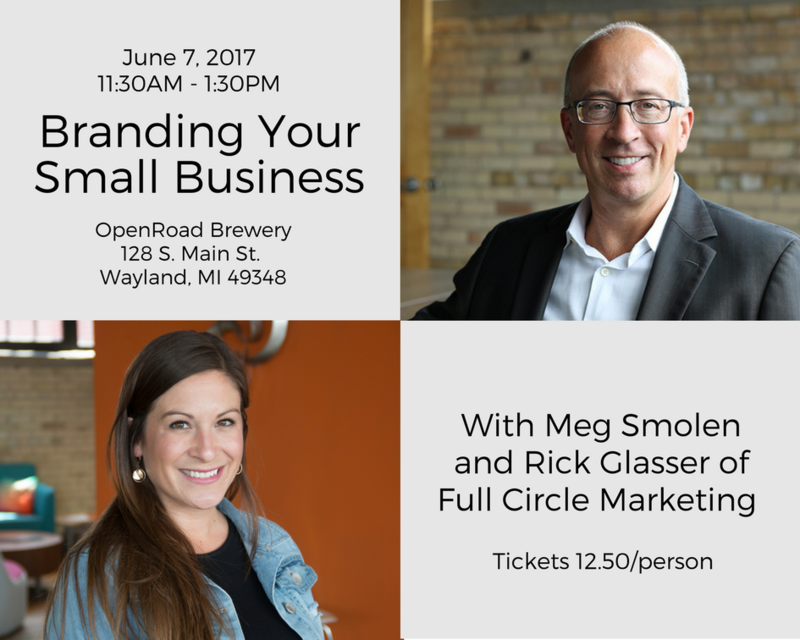 The WERCshop, “Branding Your Small Business,” will be presented by Meg Smolen and Rick Glasser of Full Circle Marketing and Design, an integrated marketing and design agency based in Grand Rapids, MI. Full Circle Marketing is built around the idea that brands deserve better. 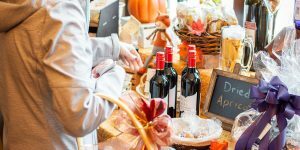 From concept to completion, they craft memorable experiences that get attention and drive results. 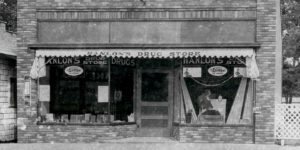 This interactive WERCshop is designed to meet the needs of small businesses. A brand is more than a logo, name, product or service. During this WERCshop small businesses will learn to build and market their brand from the experts at Full Circle. The event is open to the public. 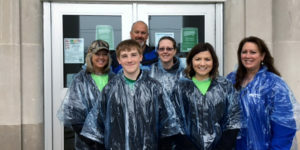 Downtown, home-based, and prospective business owners are all encouraged to attend. Seating is limited. Tickets for the WERCshop are $12.50/person and include admission, materials and lunch. Tickets may be purchased online at: https://brandingyourbusinesswercshop.eventbrite.com. 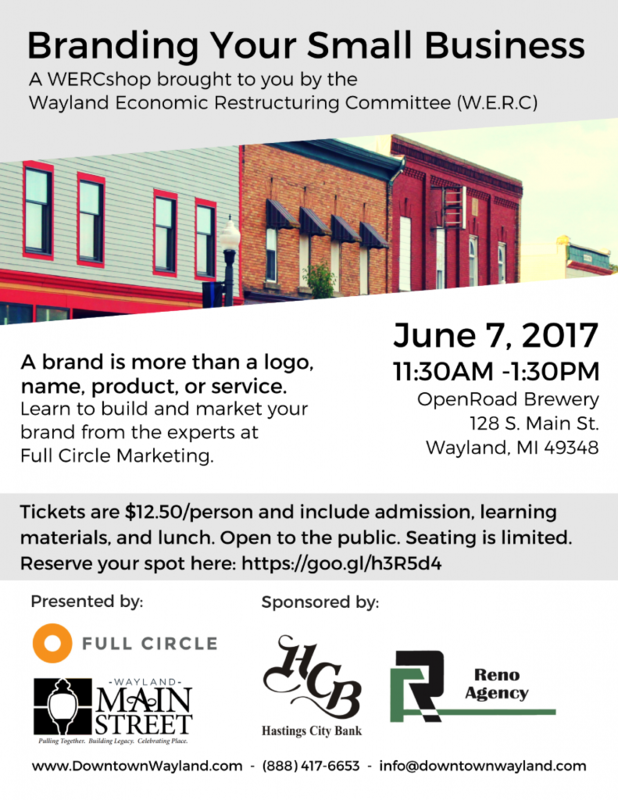 The WERCshop will be held at Open Road Brewery, 128 S Main St. in downtown Wayland on June 7, 2017. Parking in rear or at city lots. Doors will open at 11:30 am for lunch. The presentation will start promptly at noon and run until 1:30 pm. WERC thanks our Spring 2017 WERCshop local sponsors: Hastings City Bankand Reno Agency for making this event possible.